Brexit and Frexit movements spreading like wildfire! Home » Economic News » Martin Weiss: Brexit and Frexit Movements Spreading Like Wildfire! Martin Weiss: Brexit and Frexit Movements Spreading Like Wildfire! Most American investors are so keenly focused on the ongoing Civil War in Washington, they’ve lost track of the drama unfolding in Europe that could sink the global economy. You’ve no doubt heard of Brexit. And I’m sure you’ve seen the havoc it’s caused in the U.K., the European Union and beyond. But have you heard about Dexit? How about Frexit and Italexit? Not to mention Nexit, Polexit, Swexit and Fixit! Each of these is a serious national movement to break away from the E.U. Each is turbocharged by powerful populist sentiment that’s spreading across the continent like wildfire. And just one could be enough to unravel the entire ball of yarn. Dexit (Deutschland Exit) is a German movement that, just a few years ago, would have been utterly unthinkable. The German economy is the largest on the continent, towering over those of the UK, France and Italy. It’s the sun around which all the other member nations revolve. And under Angela Merkel, it has consistently been driving in high gear to strengthen the union at almost any cost. But now Merkel herself is headed for the exit doors. And in her wake, powerful forces are pushing harder than ever for Germany’s withdrawal. If Berlin decides to leave the E.U, or even if it just shifts into neutral, it will inevitably set off a rapid chain reaction of withdrawals by other members. Just last month, the surging Alternative für Deutschland party (AfD) voted to campaign for the country’s exit from the E.U. Plus, AfD also wants to shut down the European Parliament in its entirety. And anyone who thought the party would always remain on the fringe of German politics was shocked to learn last year that it had become the second most popular, even eclipsing the mainstream Social Democratic Party. If the German economy could enjoy a healthy growth spurt, AfD might not be able to tap into voter frustrations quite as easily. But healthy growth is, by far, the least likely of all future scenarios on the immediate horizon. In 2018, GDP grew by a meager 1.5 percent, the worst in five years. For 2019, the government just slashed its forecast to 1.0 percent growth, a harbinger of recession. Moreover, the main causes for the slump — the chaotic Brexit, global trade tensions and the political unrest spreading across Europe — are not going away. Suddenly and without warning, the one country that has done the most to build a united Europe is itself at risk. Frexit (France Exit) is a movement that, until just recently, seemed dormant and tame. 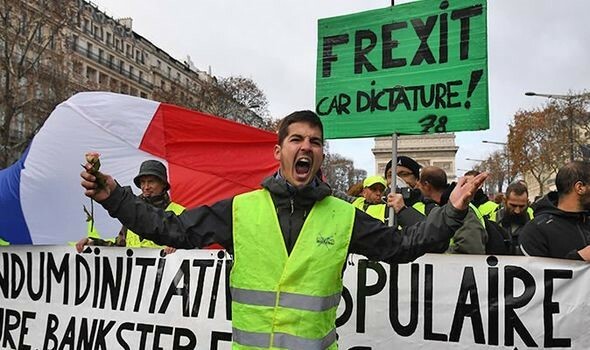 But then, on Nov. 17, the Yellow Vest revolts burst onto the scene with unexpected fury. In riots all over France, over 3,000 protesters and police have been injured by grenade debris, rubber bullets and beatings. The movement has now spread to Belgium, Germany, Italy, Spain and many other countries. Today, the anti-government yellow vests are preparing for their 14th straight weekend of street protests all over the continent. And everywhere, their universal demand is to dump the E.U. Italexit (Italy Exit) could easily be the most virulent anti-E.U. revolt of all. 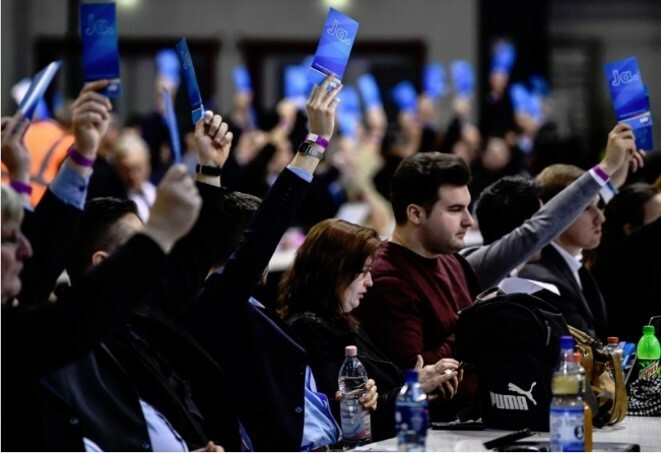 Unlike Germany and France, where mainstream politicians are still trying to put down the populist movements, in Italy, they’ve already risen to power. 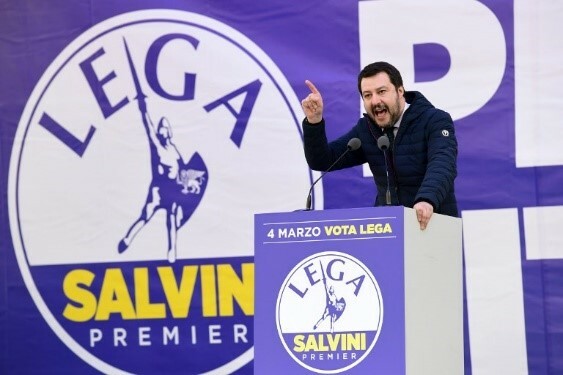 The Lega party and its populist leader, Matteo Salvini, are already key partners in the coalition that governs the country. They’re expected to win parliamentary elections to be held on March 4th. And as soon as they do, they have vowed to pull Italy out of the European Union unless Brussels gives them everything they demand. If Brussels says “no,” Italexit will be set into motion. If Brussels caves in, other member countries will make similar demands, and the union will come apart regardless. Meanwhile, Italy’s debt pile-up hangs over the nation like the Sword of Damocles. Government debts are more than $2.8 trillion dollars, a whopping 142 percent of GDP. Add in private-sector debts and the total debt load surges to more than triple GDP, or $6 trillion. That makes Italy’s debt monster the largest on the continent. So, it’s no coincidence that, in all of Europe’s largest economies, Italian borrowers are at the greatest risk of default. Nexit (Netherlands Exit), Polexit (Poland Exit), Swexit (Sweden Exit) and Fixit (Finland Exit), are also gaining momentum. Each feeds on the other. All combined, they’re very near the critical mass that sabotages the European economy, sinks the euro, and drives global stock markets into a tailspin. Watch out! There’s no way the U.S. market can fend off the impact. Brace yourself for a big decline. And be sure to take the protective action we’ve been recommending. It’s free. And it will play on your screen right now if you click here.